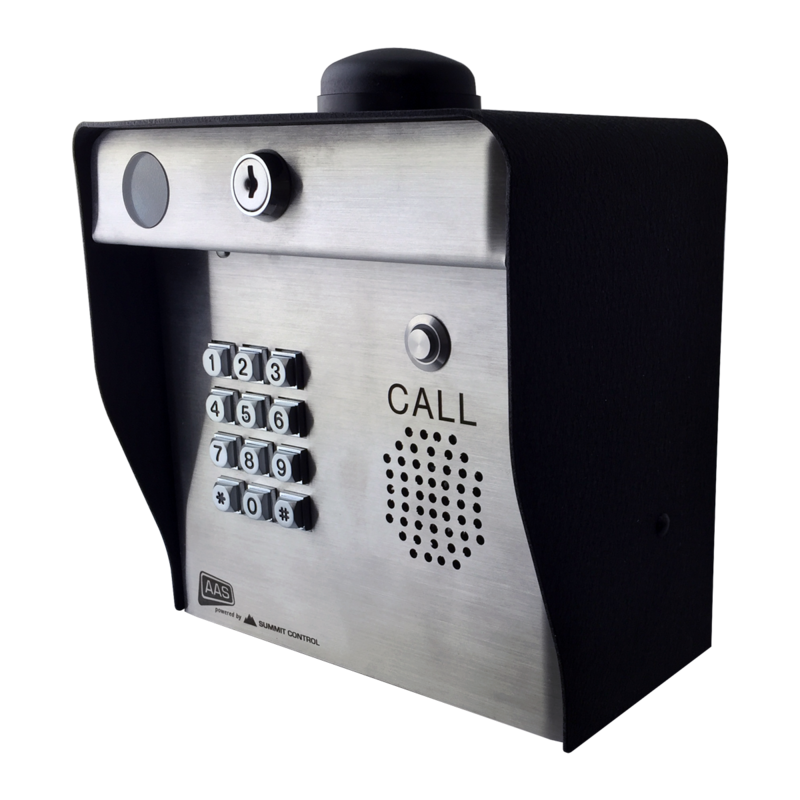 When you need a cellular telephone entry and access control system in one, Ascent X1 has you covered. Control up to two access points and grant access via app, text, voice, call button, or keypad*! * Keypad management on all new systems (starting January 2016) is done via Summit Control. This is an AAS 16-X1 Ascent X1 Cellular Telephone Entry System with Keypad. From initial setup to daily use, no other access control device on the market is so enjoyable to own. Sit back and relax! Unit includes a T-Mobile SIM card ready for activation. AAS by Security Brands, Inc.